Formed in 1967, the Ontario Greenhouse Vegetable Growers (OGVG) is an association of more than 220 member greenhouse vegetable growers from across Ontario, Canada. OGVG members collectively produce tomatoes, cucumbers and bell peppers from more than 2,067 acres of greenhouses. The OGVG also functions as a lobbyist and research organization, as well as a cooperative promotional resource, producing advertising and POS materials for its members and retailers.
. The OGVG is faced with the challenge of communicating to - and sharing educational materials with - two very diverse purchasing groups: consumers and retail/wholesale produce managers. They must also dispel an old, stereotypical misconception that greenhouse produce is an off-season compromise, that it’s what you buy when there’s no “fresh” produce available. .The reality is that decades of advancements in the greenhouse industry have resulted in quality, freshness and consistency that meets and often exceeds that of traditional soil-grown vegetables. .OGVG needs to communicate this message to both target groups on behalf of their members. Produce managers and consumers need to be educated, not only on the attributes of the produce itself, but also on the use of greenhouse produce and proper storage and handling.  HCA Mindbox created the marketing platform Naturally Fresh Inside. This clever double entendre signature line communicates the attributes of the produce inside the package – natural and fresh – while simultaneously describing the environment in which the vegetables are grown – inside. The crisp, clean imagery, with strong green overtones, depicts the best produce, graphically demonstrating that greenhouse produce is a ‘trade-up’ from that grown traditionally. The graphic lock-up is for use in all materials – from labels to in-store posters, recipe cards and POS materials. The inclusion of the logo from Foodland Ontario offers consumers an added element of identification for Ontario produce, as it has a 94% consumer recognition rate. Throughout the lifetime of the program, more than 750,000 pieces of POS material have been distributed to consumers through retailers who are engaged and committed to maintaining this program. Consumers are now more aware of how to use, how to care for, and when to purchase Ontario greenhouse produce. Originally launched in 2011, Naturally Fresh Inside has become the flagship platform for all OGVG marketing materials. From the warehouse to the grocery store, the iconic badge is instantly recognizable and is used on all pieces produced for the organization. The recipe cards and in-store POS materials educate the consumer about the advantages of greenhouse produce, how to use the vegetables and offer clear benefits to the grocer as education and training for their staff. At the 2012 PMA Food Service Show, the OGVG trade show booth created by HCA Mindbox was awarded “Best of Show” among more than 150 exhibitors.